There is some truth in the statement that inside each of us is a story and a song. However, this budding songwriter never imagined that he would one day share part of his life story in a song that people would actually listen to and be touched by it. I do not pat myself on the back or attempt to receive any vain glory for how well the song has been received thus far. For me to do so would be utter foolishness and naivete. A million thanks go to a very talented group of people in California who worked extremely hard to make my vision and inspiration a reality. This songwriter is forever indebted to each of them. I would like to introduce them to you. 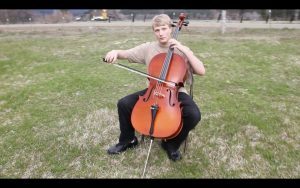 Morgan Byers (Producer/Transcriber) from Fort Jones, California, is the 20-year-old personal music arranger for one of Mormon Music’s featured music artists, Mary Hiett. He came under the tutelage of Mary Hiett as his piano teacher when he was about 10 or 11 years old. Anything that he could get his hands on that had Johann Sabastian Bach’s name on it made him happy. 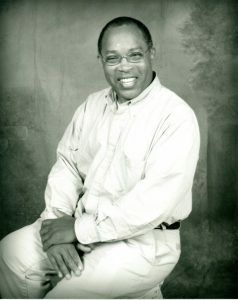 Mary says, “He truly was one of those young men that had such an old soul in a young body.” Morgan also plays several other instruments, including cello, tin whistle (he made one out of a broom handle), marimba (a little), and the organ. Morgan has been studying and learning the different aspects of engineering music. He has a keen interest in learning the art of producing music among other things. His immense talents and know-how shined through and were appreciated more then words could ever express in producing “Song of My Heart.” There were challenges along the musical journey of the song, but he went above and beyond the call of duty to deliver a final product that is par excellent. You can find his music on his YouTube channel and on his official website, You can also follow him on Facebook. 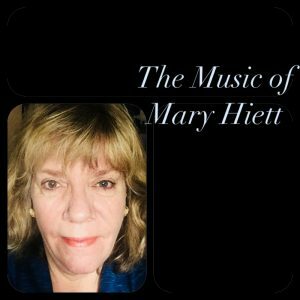 Mary Hiett (Arranger) is an awe-inspiring songwriter from Idaho Falls, Idaho. She currently resides in Etna, California, which is a small valley with a minute population. She is a prolific songwriter who started writing music about four years ago at the age of 60. Her growing repertoire includes two CDs and some Christmas music recorded digitally, numerous other wonderful songs that she has released, as well as songs that she is currently working on. She says, “When God gave me this music, I did not know what to do with it. I’m not from Utah where everything is accessible, but I do live in an age where my phone has been a great asset to me. I am at the mercy of not having the best of everything.” To record her music, she had to find her own recording technician, arranger, vocalist, and a place to record. 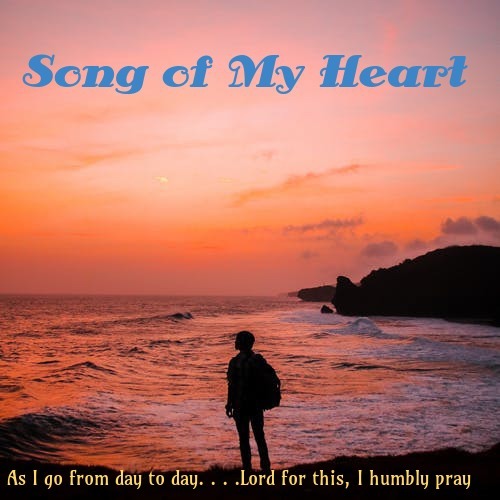 Mary’s immeasurable talents as a piano player and arranger gave new life to “Song of My Heart.” She is definitely to be commended for the way she was able to capture this songwriter’s vision and turn it into something that is truly wonderful. I would also be remiss if I did not thank her for her unfailing patience and for working with me in teaching me how to create a song. I will be the first to admit that I was clueless about the entire process, but she took the time to mentor me and for that, I am forever grateful as I move forward to write more songs from my heart. Tiffany Ann White (Vocalist) was born in San Jose, California. When she was young, she moved with her family to her mother’s home town of Yreka, California, to be with her grandmother after her grandfather had passed away. She has always loved the mountains and small country living and grew up hunting, fishing, hiking, and horseback riding. She is very passionate about animals and has cattle, chickens, ducks, geese, pigs, dogs, and cats. She did not sing while attending Yreka High School but she did play in the band, marching band, and pit orchestra. It wasn’t until she was in college at College of the Siskiyous and later, Chico State, that she began to sing in the concert choir and with the concert band and community band. 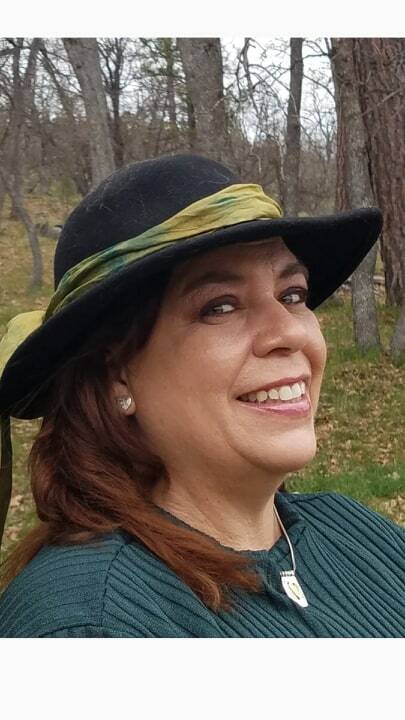 For years, she played the clarinet for The State of Jefferson Band, and in the 1990s, she sang with Saint Joseph, Saint Mary, and Sacred Heart Catholic churches. She says that her passion for music was lost for a while but credits Mary Hiett for putting music back into her soul in the early 2000s. Her passion for music was again put on hold due to work and a back injury. She also says that her family has always encouraged her passion for music and for that she is thankful. Tiffany enjoys working with children and graduated from Chico State with a degree in Liberal Studies and earned a teaching credential from Simpson College. She has been a social worker for Child Protective Services. She also spent 13 years working with junior high students and was even dubbed as “the singing sub” by a group of students at Etna High. She describes herself as a quiet spiritual person and her spirituality is heard in her beautiful vocals for “Song of My Heart.” She does not merely sing the words of the song but she sings with passion as one who truly understands the vision and the meaning of the song. Her willingness to sing the song was indeed an answer to prayer and a true blessing and this songwriter is forever grateful. Tiffany and her husband, Wayne, met on a blind date, got married on a bet, and have been married for 23 years. So, as you can see, writing a good song takes more than just the efforts of the songwriter writing the words and the melody. It is indeed a team effort and each person on that team has a part to play. This songwriter is forever grateful to the team of Morgan Byers, Mary Hiett, and Tiffany White for helping introduce his vision to the world. Oh Kieth, thank you for this beautiful song, and such a beautiful article. Mary and Morgan are incredible people and I am so honored to have been apart of this team. The Lord has brought us together and there we shall stay in friendship. I hope to meet you one day, in person Kieth. You truly are gifted. The Lord will send a message through a messenger as yourself, and I’m so glad you recived his word and share them with us.